1. -- U.S. stock futures suggested Wall Street would open mixed on Tuesday, Nov. 7, after the benchmark indexes rallied to fresh records during the previous trading session. The Dow Jones Industrial Average closed with a gain of 0.04% on Monday, Nov. 6, to set a record of 23,548. The S&P 500 gained 0.13%, and the Nasdaq added 0.33%. A surge in oil prices on Monday helped to fuel gains. A weekend purge by Saudi Arabia's crown prince of his political rivals and the arrest of what was essentially the country's best-known international investor -- Prince Alwaleed bin Talal -- helped Crown Prince Mohammed bin Salman consolidate his grip on power. Salman is a pro-OPEC force in Saudi politics, making it even more likely that the oil cartel's production caps will be extended, according to analysts. Oil prices early Tuesday were trading slightly lower. The economic calendar in the U.S. on Tuesday includes the Job Openings and Labor Turnover Survey for September at 10 a.m. ET. 2. -- General Electric Co. ( GE - Get Report) is weighing options for its aircraft leasing operations, including the sale of all or part of the business, Reuters reported, citing people familiar with the matter. GE has received expressions of interest from some of its competitors about GE Capital Aviation Services, the world's second-largest lessor, the sources said. A spinoff of the business is also a possibility, the sources told Reuters. GE also could decide to keep the business. GE declined to comment for the Reuters story. CEO John Flannery has been looking for divestitures to meet his goal of identifying more than $20 billion worth of assets for GE, Reuters noted. General Electric is a holding in Jim Cramer's Action Alerts PLUS Charitable Trust Portfolio. Want to be alerted before Cramer buys or sells the stock? Learn more now. 3. 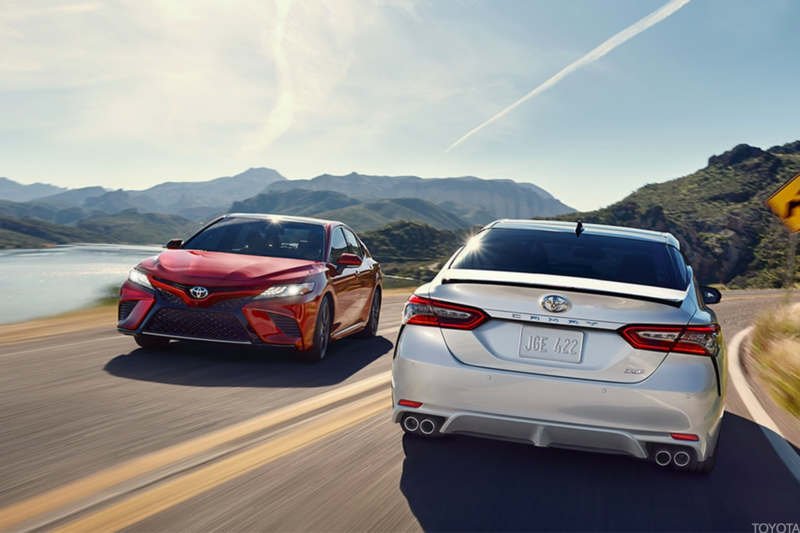 -- Toyota Motor Corp. ( TM - Get Report) said Tuesday that fiscal second-quarter profit rose 16% and it raised its annual profit forecast for a second time this year on a weaker yen and a jump in sales. Japan's biggest automaker said profit for the July-September quarter was 458.2 billion yen ($4 billion), up from 393.7 billion yen a year earlier. Sales in the quarter rose 10% to 7.14 trillion yen. Toyota said its RAV4 sport-utility vehicle and Camry sedan posted strong sales in the U.S.
Toyota raised profit forecast for the year ended in March 2018 to 1.95 trillion yen from earlier projections of 1.75 trillion yen. 4. -- Shares of Valeant Pharmaceuticals International Inc. ( VRX gained 12% in premarket trading on Tuesday after the company topped third-quarter earnings and sales estimates. Earnings reports are also expected Tuesday from Snap Inc. ( SNAP - Get Report) , Zynga Inc. ( ZNGA - Get Report) , Dean Foods Co. ( DF - Get Report) , Marriott International Inc. ( MAR - Get Report) , SeaWorld Entertainment Inc. ( SEAS - Get Report) , Coach Inc. ( COH , Royal Caribbean Cruises Ltd. ( RCL - Get Report) and Take Two Interactive Software Inc. ( TTWO - Get Report) . 5. -- The notion that Walt Disney Co. ( DIS - Get Report) may buy Twenty-First Century Fox Inc.'s ( FOXA television and film studios is all about Netflix Inc. ( NFLX - Get Report) , the streaming service that has almost single-handedly shaken the global media business, wrote TheStreet's Leon Lazaroff. But it's also about Disney CEO Bob Iger. CNBC reported on Monday that Fox has been in talks with Disney to sell its TV production business as well as the 20th Century Fox movie studio, and certain cable networks and international assets. According to CNBC, the deal wouldn't include the Fox broadcast network, its sports programming group or the Fox News Channel. For Iger, who is scheduled to relinquish his position atop Disney in July 2019, the deal would be as transforming and significant as his ambitious and highly successful acquisitions of Pixar Animation Studios Inc., Marvel Entertainment Inc. and Lucasfilm Ltd., Lazaroff wrote. Bloomberg and a number of other outlets said the two parties weren't talking anymore about a deal. Fox shares closed nearly 10% higher on Monday following the CNBC report, while Disney shares gained 2%. This story has been updated from 6:08 a.m. ET.